One of the last projects I’ve done has been a case for a boy who goes to class with my daughter. Although it seems complicated, following the steps you will see that it is very simple. Here I leave you the tutorial if you want to try to make one. This case measures approximately 8 cm in height for about 22 cm in width. Two rectangles on the outer fabric 10 cm x 24 cm. Two rectangles for the inner fabric of 10 cm x 24 cm. Two rectangles of interfacing of 10 cm x 24 cm. 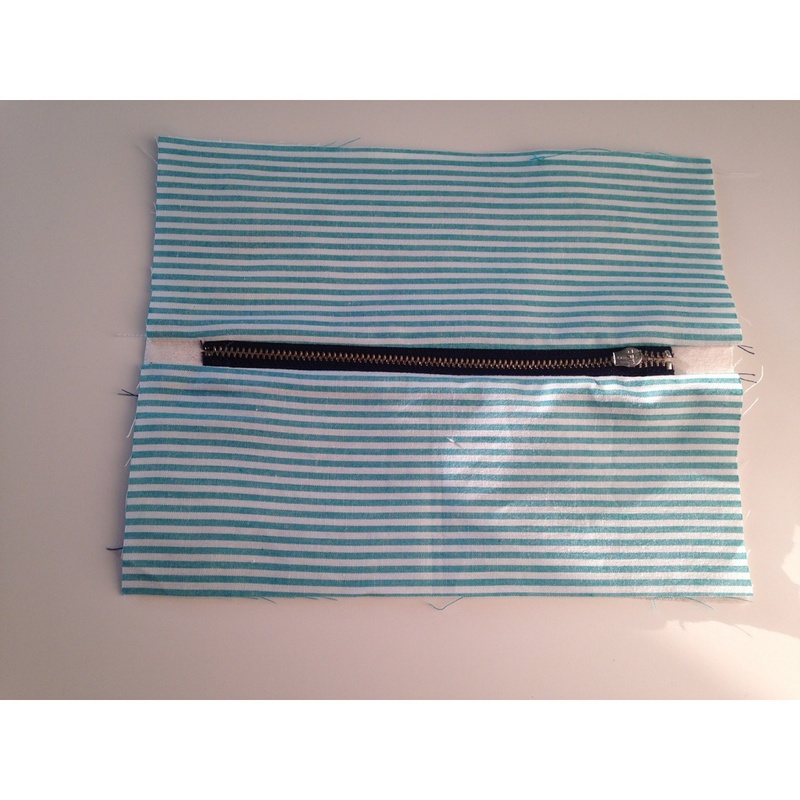 A zipper of 20 cm (the zipper is shorter than the fabric so you should have some fabric extensions, if we do not want extensions, the zipper should be longer than the fabric). Two pieces of the outer fabric of the zip width x 7-8 cm. Label (if you want to put it). White head needles and sewing needle. 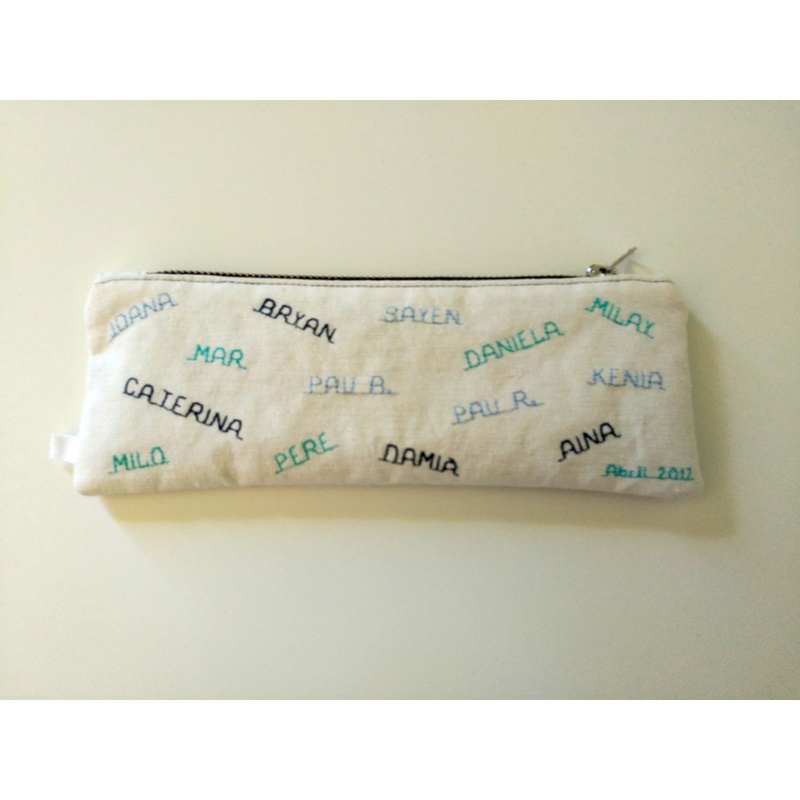 You can choose the fabric you want for both exterior and interior (in my case, the exterior is a canvas and the interior is a cotton fabric), the color of the zipper and the thread. Moment of flying the imagination, there are thousands of possibilities! It is advisable to reinforce the outer fabric with a interfacing or hardening foam. The interfacing clings to the iron and if we put foam we must fix it on the fabric with a quilting so they are well united. If we do not do it, the case will be more loose and without body. 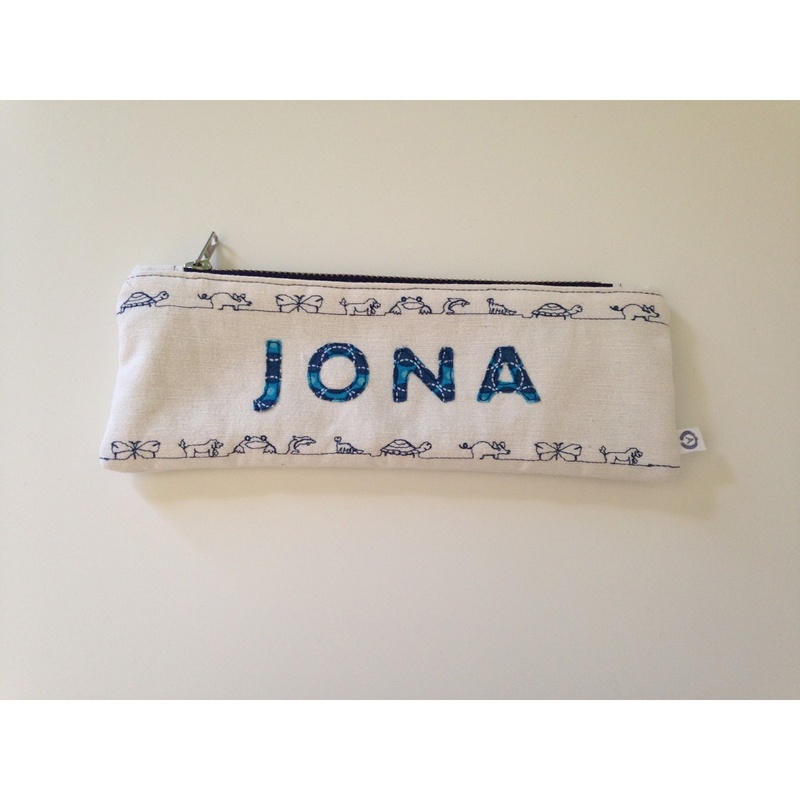 Here you can see that the front fabric of the case has a name and drawings of animals. 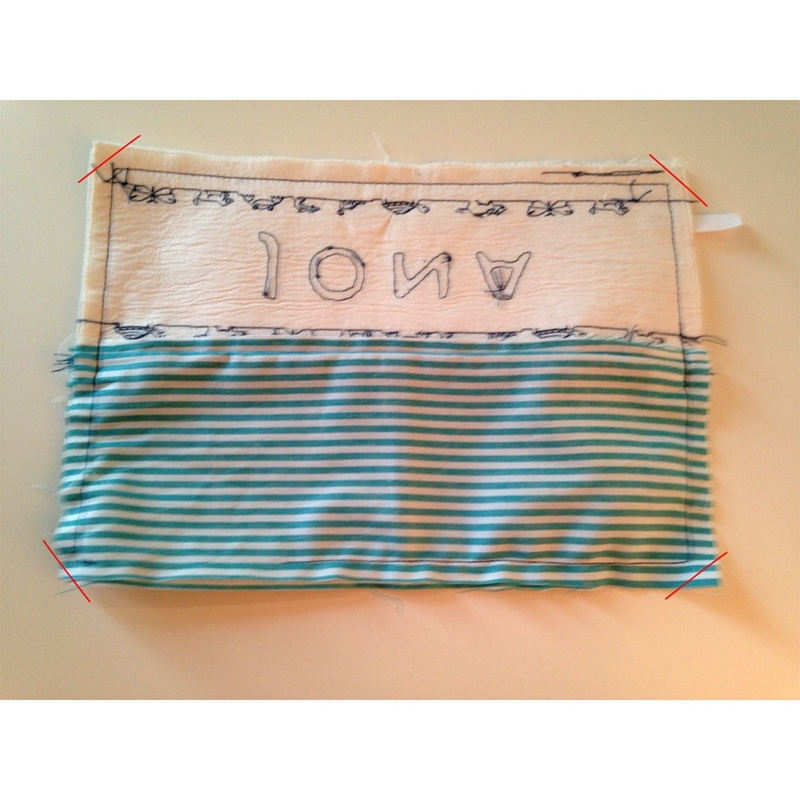 To make this name, I used a blue cloth with a double-faced interfacing on the back. I have clamped it on the fabric of the case with the iron and made a backstitch around each letter 1 mm from the sidewalk. 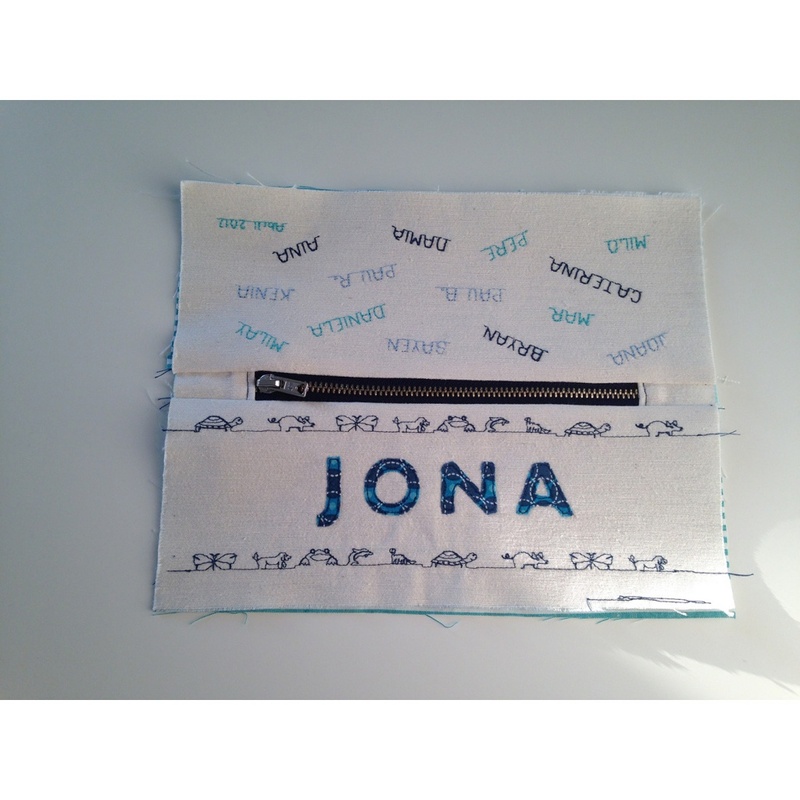 I have done the animals to test the function of different embroidery drawings that has the new sewing machine that I have. On the back you can see several names. 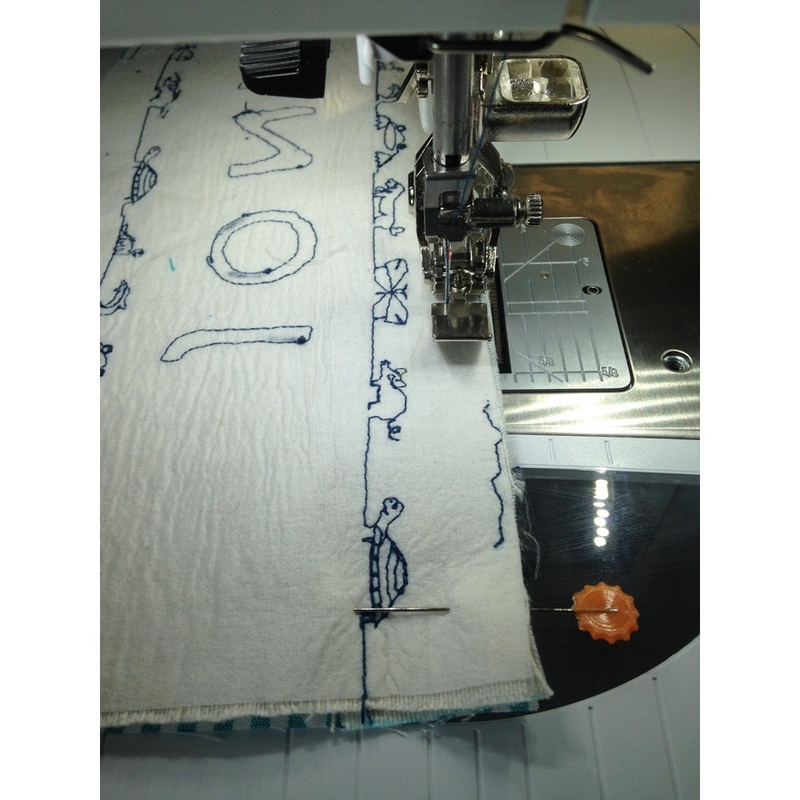 They are also made with the embroidery function of the new machine. This project has helped me to get acquainted with this new ally! Place the piece of fabric we have cut of equal width as the zipper next to where the zipper’s teeth are finished, and in the direction of the inside of the zipper. With the closed zipper we put the good face of the fabric (in my case it is indifferent) with the outer face of the zipper. Put the fabric aligned with the metal insert end of the zipper and we make a backstitch 0.5 to 1 cm into the interior of the fabric. We turn the piece of fabric and we iron it so that it is well flat and straight. We made another backstitch to millimeters on the side of the fabric to fix it well on the zipper. We made the same on the other side of the zipper. In this case, the zipper will have to be open and this will not interfere with the metal part. 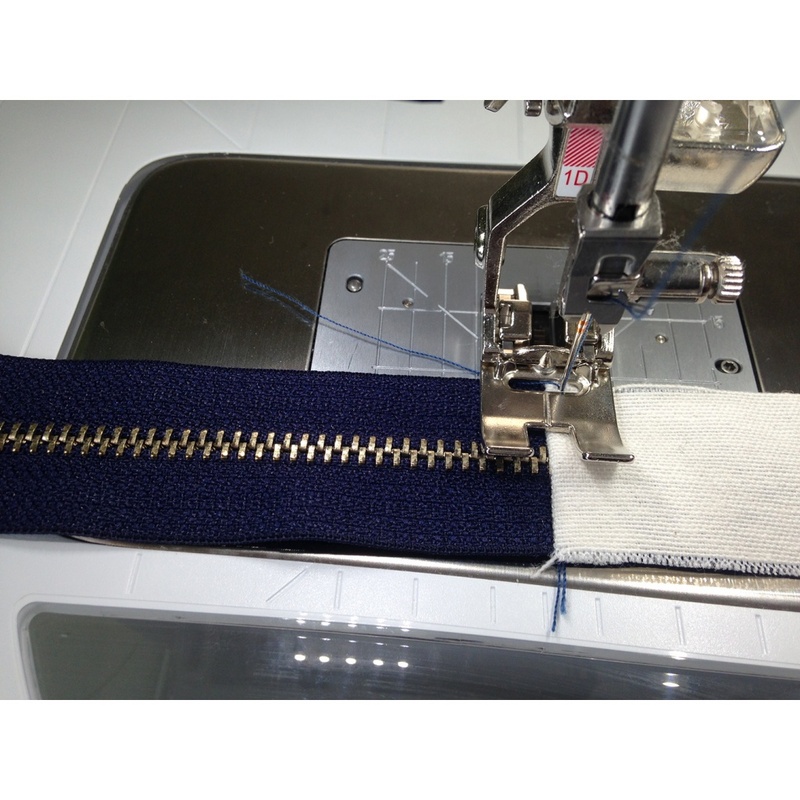 Finally, place the zipper with the two extensions below the outer fabric and trim the leftover fabric of the zipper to match it to the fabric. Now comes the time to assemble the entire case. 1 – Laying the zipper. 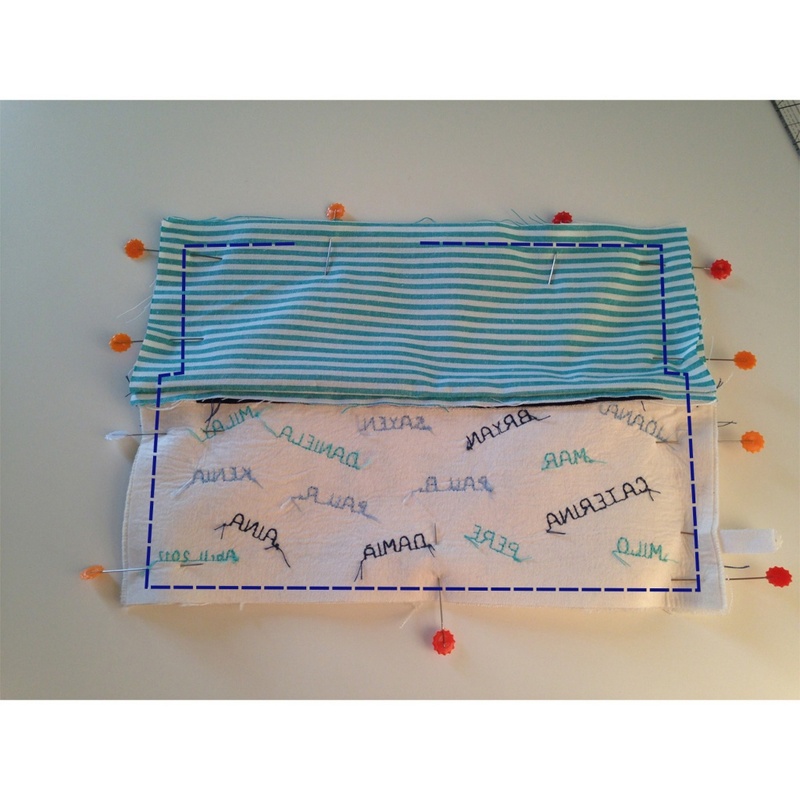 We will attach the zipper to the inner and outer fabric of the case at the same time. So, place the outer fabric with the good face up. We put on the zipper with the outer face facing the good face of the outer fabric and above it we put the inner fabric with the good face on the bottom, that is, both good faces of the fabrics they must be look each other. We hold it all with needles. 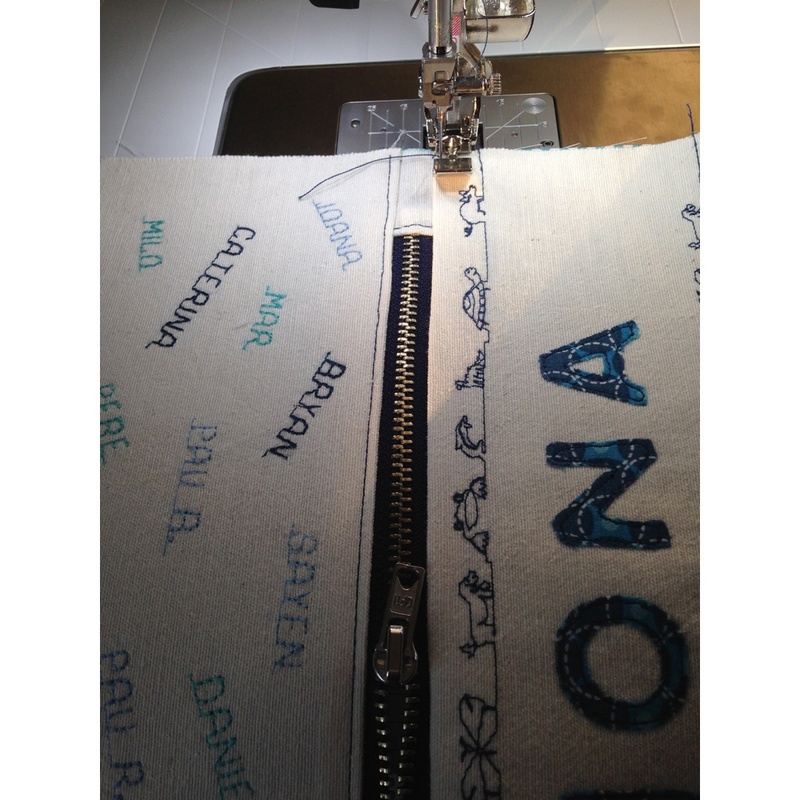 We made a backstitch as close as possible to the zipper using the specific foot to sew zippers. 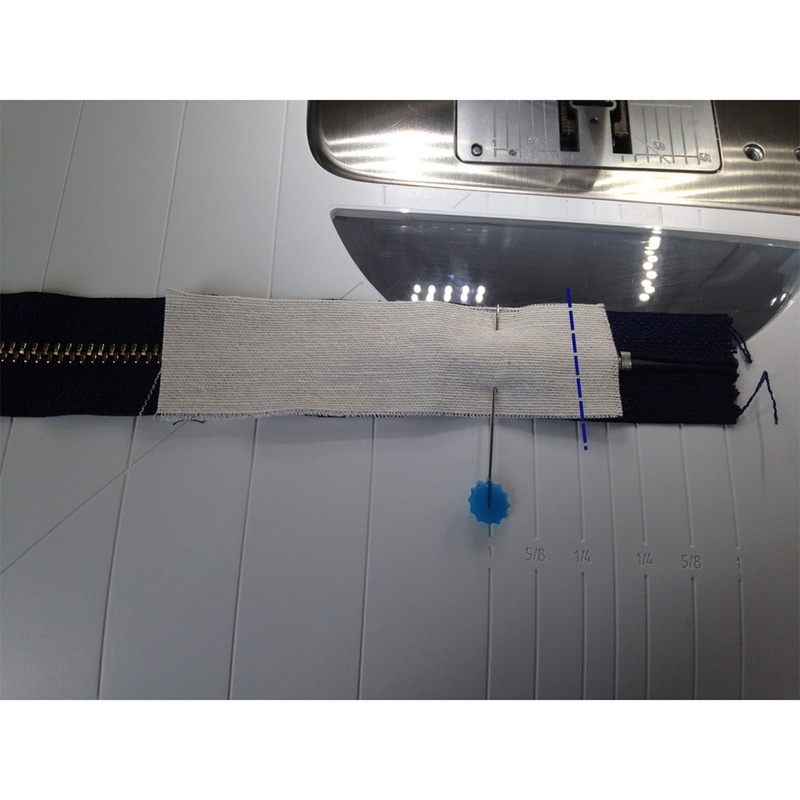 When we approach the car of the zipper we stop, lower our machine needle, raise the foot and we run the car of the zipper towards the part that we have already stitched so that it does not disturb us when we pass nearly. Then, we open the two fabrics to one side and repeat the same process with the fabrics on the other side. We have to handle the zipper of the same way as before. Now we will iron the folded fabrics as in the previous photos and we will make a backstitch millimeters on the side of the fabric that is behind the zipper to hold the fabrics well and give shape and stability to the case. When doing the set we have to run the car of the zipper as we have done in the previous step. 2 – Finishing the case. Then, with the zipper opened (very important), we have to place the two outer fabrics facing the good faces and the two interior fabrics also face the good faces. The fabrics that we have placed next to the zipper (or the zipper if there were no extensions) is better bend them towards the interior fabrics that the outer. 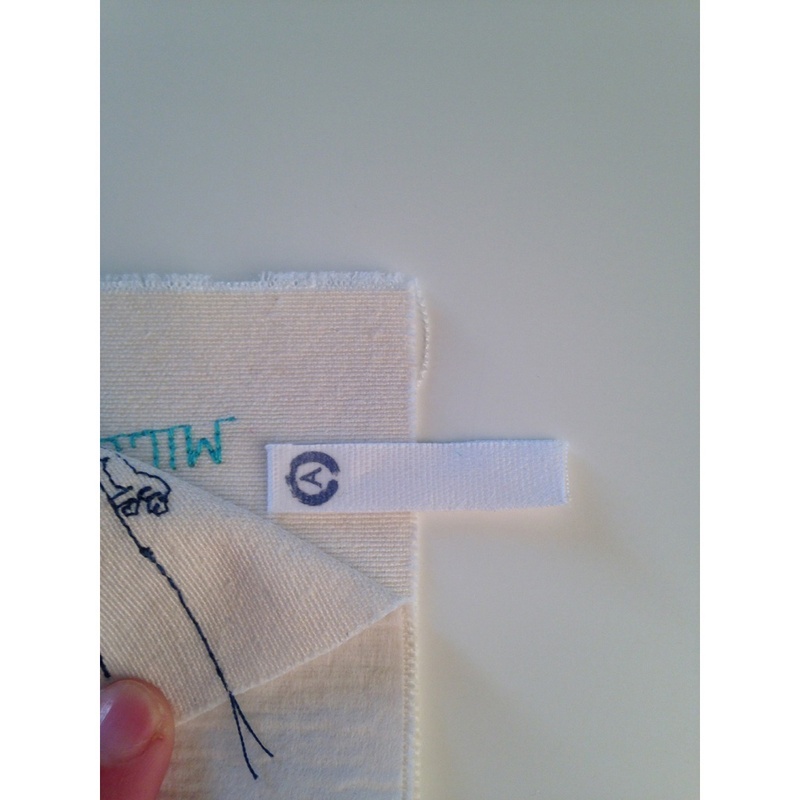 If we want to place a label, this is the time to place it on the inside of the outer fabrics, with the drawing to the front, letting it enter a good part to make sure that the drawing is not stitched with the bacstitch we will make. We will have a rectangle, and we have to put needles around to hold the fabrics and not move when we sew them with the machine. The needles better place them perpendicular to the fabric. That way you can leave when sewing the piece or lift them as we approach. There are people who let them putted and I also did it at times and it’s always been good for me. Although there is the danger of sticking the needle with the needle of the machine, it is very unlikely and it has never happened to me, if it is stuck, the needle of the machine can be broken so, if we take out them when we go closer we will be just as good. We have to make a backstitch for the entire contour at a distance of between 0.5-1 cm. It is important in the interior fabric to make the rip a little more remote from the sidewalk, about 0.5 cm more, because in the inner part to being the narrower fabric will give us the feeling that we have a lot of fabric. 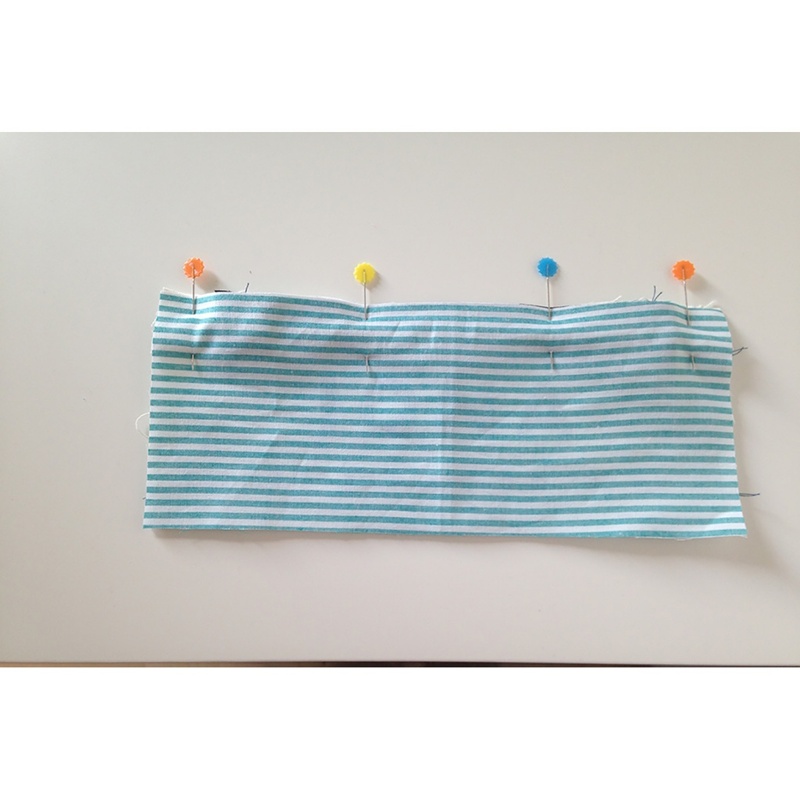 It’s convenient that the part where the zipper is joined with the fabrics to sew the it a few times to reinforce it (to do this you can use the option to retreat from the machine and if not we put up the needle and we turn the fabric to go back). We have to leave a section, about 7-8 cm, without sewing at the part of the inner fabric because then we will have to turn around the entire case. 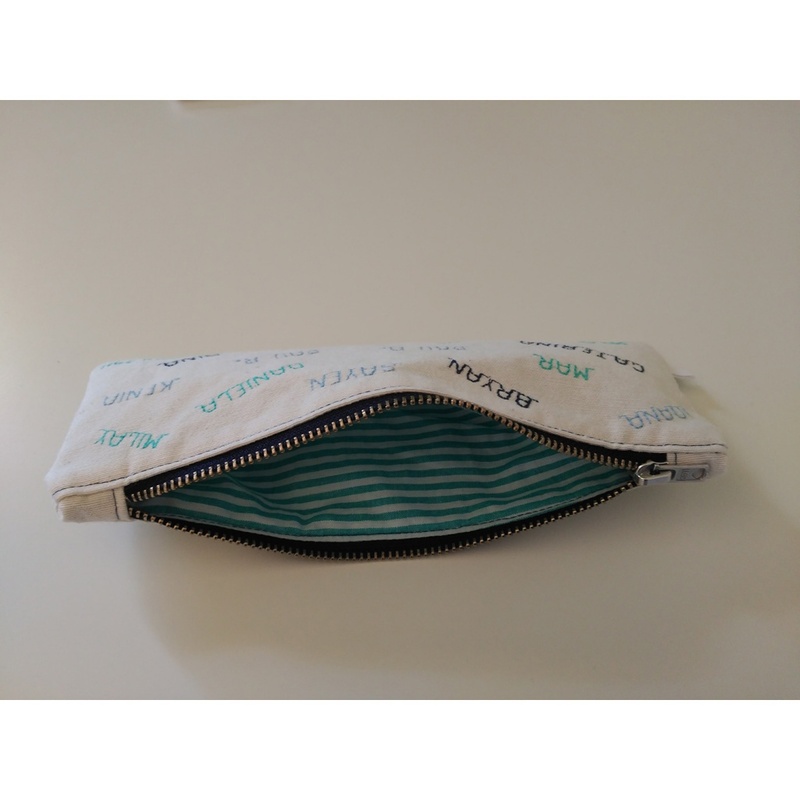 Think about leaving the zipper open because afterwards we can not turn the fabrics and put the case in good condition. We can cut the ends of the tips of each of the four corners to be easyer to turn the case to the right side. Finally, we turn the whole case around the hole that we have left in the inner fabrics in order to put all the case in the right side. This hole will have to be closed by hand with a sewing needle and a colored thread like the inner fabric making a very small stitch and the most hidden possible. 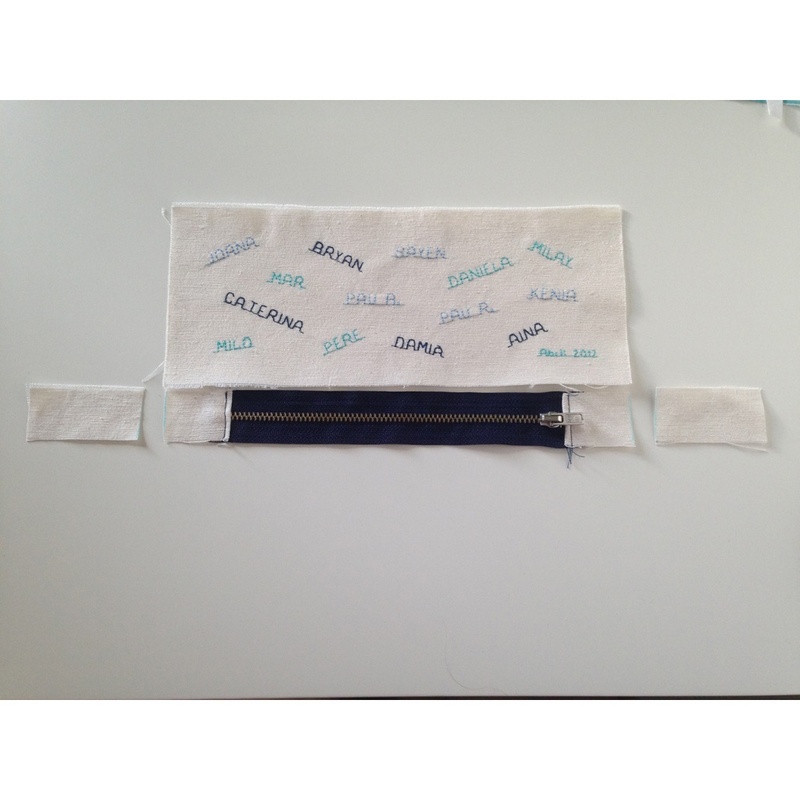 Finally, we put the inside of the fabric well and we push the corners so we can give form the case, helping us, for example, with a pencil or a covered pen (pay attention when using scissors that can cut the fabric!). I hope you like this tutorial and you find it useful. 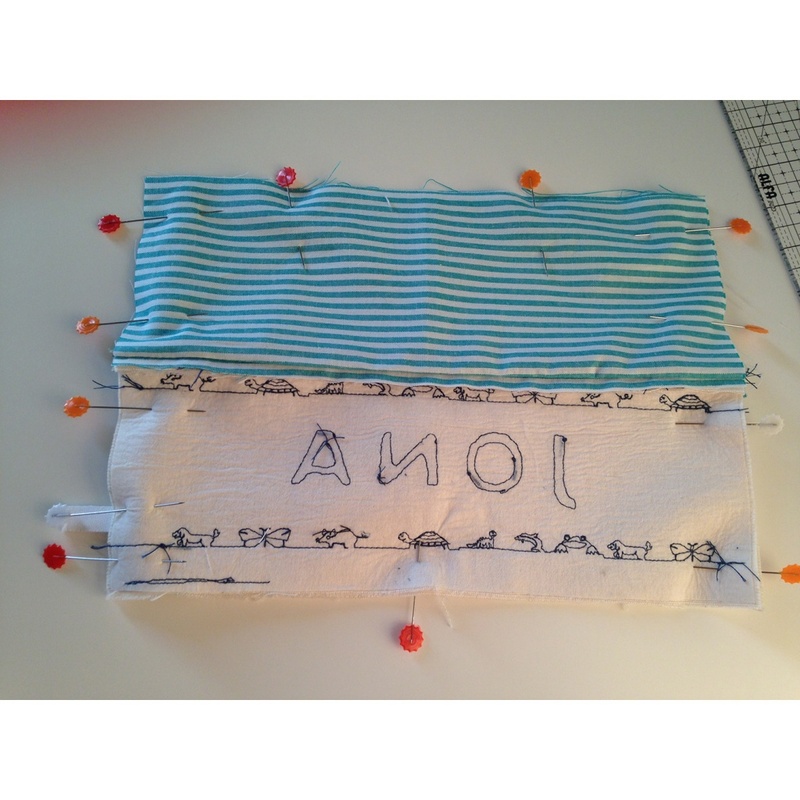 I encirage you to sew that is very fun and entertaining!